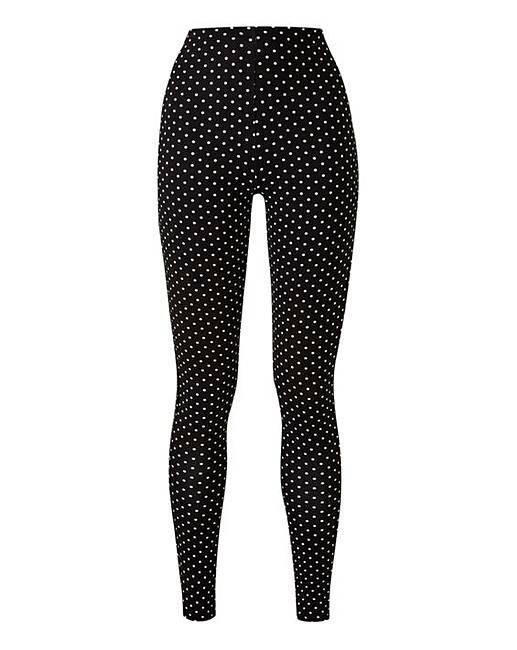 Spot Print Stretch Jersey Leggings is rated 2.8 out of 5 by 4. 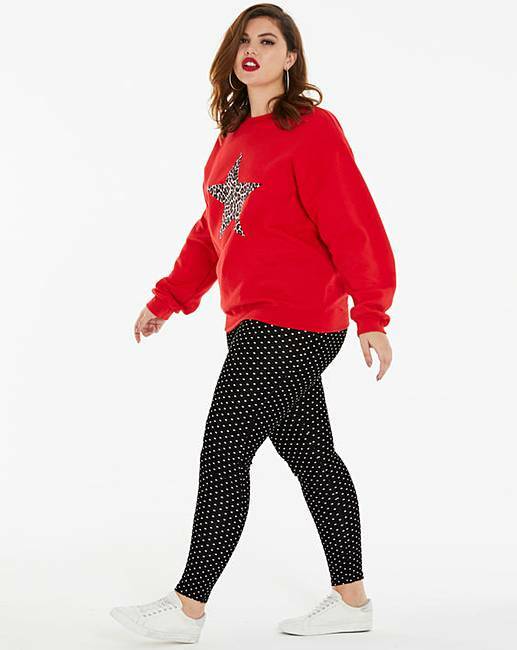 Rated 4 out of 5 by Samtheglam from Very comfortable Lovely Leggings. Really suitable for the Spring / Summer as so lightweight but still ok for this time of year with a long jumper. 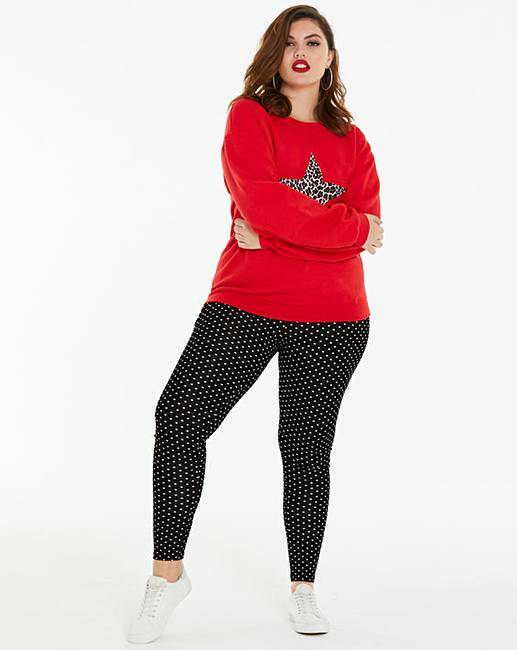 Rated 5 out of 5 by Sky Blue fan from Snazzy leggings I loved the look of these leggings and was not disappointed. They are about 1inch too long but that's not a problem. I wear them with my long black embroidered jumper and they look smart. They fit well, not too stretchy, and wash well too. I'm really pleased with this bargain. Rated 1 out of 5 by Angie from Awful quality Very disappointed. Ripped in the gusset the first time I wore them. Completely split along the seam. I sewed them up as I I really wanted to wear them. Not as stretchy as other leggings, although they fitted comfortably, by the end of the day two more holes had appeared. Shoddy quality.